One of the major wins in Drupal 8's content authoring experience is the addition of an out-of-the-box Wysiwyg. In future videos we'll look at how to configure the Wysiwyg, but here we just take it for a quick tour as we add a piece of content in Drupal 8. Let's take a look at the process of adding content as well as managing the administration of the content authoring workflow. 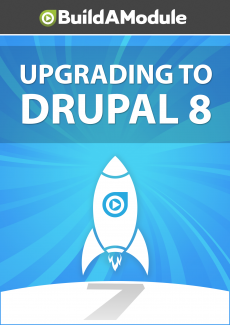 I'm going to exit out of the overlay in Drupal 7 here, and I'm going to click add content. In Drupal 8 I'll do the same. We have the same basic content types, I'm going to click article on both sides. There was a ton of work that went into improving the content authoring experience. So let's start from the top and work our way down. The first thing that we see is that the organizations of the fields are different by default. So instead of having tags right below title, we now have the body below the title. To edit the body we also have a built-in wysiwyg, which is so important for basic content editing. Instead of assuming that our users by default are going to know HTML and be comfortable with it, we can now give them a set of tools to create rich markup without having to deal with the HTML at all. In Drupal 8 we have text formats just like we did in Drupal 7. But one of the differences is that the text formats can have a wysiwyg configuration attached to them. So for basic HTML this is what we'd see. But if we switch this to full HTML for example we get a more full-featured tool set here. And if we switch to restricted HTML the wysiwyg goes away altogether. In Drupal 7 you could've achieved the same thing by using the contributed wysiwyg module and then enabling either tiny MCE or CK editor. Drupal 8 comes bundled with the CK editor wysiwyg but contributed modules will be able to supply additional wysiwygs if you prefer a different workflow. So I'm going to load up a wysiwyg by going to the basic HTML text format.